RUGBY WORLD: If you could have one superpower, what would it be and why? TOBY BOOTH: One superpower… To read people’s minds. RW: Other coaches’ minds to find out their tactics, or your own players’ minds? TB: My own players. Then I’d know how to effectively manage them. TB: Poor manners. That drives me insane. TB: Losing! And being buried alive. TB: My children, my wife – and my garden! I’m a keen gardener. I’ve no interest in flowers, but I grow strawberries, rhubarb, potatoes, peas, tomatoes… The children love it, especially the strawberries. 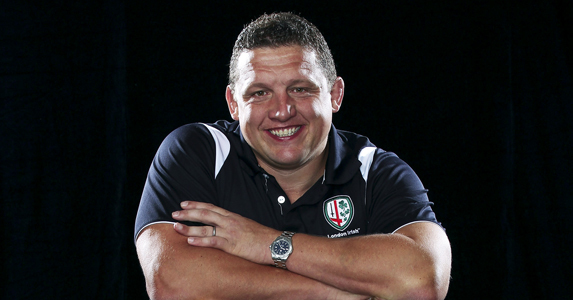 RW: Who are the jokers at London Irish? TB: The jokers are guys like Daniel Bowden and Declan Danaher – there’s a few to be fair! Ceri Parham, one of the physios, also gets involved a lot. RW: What about practical jokes? TB: There’s a fair bit of doctoring pictures from the internet – a lot of Photoshop work! – and they all go on a wall at the training ground. The guys are always looking for lookalikes. With Matt Garvey, people go down the Wayne Rooney route and with Steffon Armitage it was Arnold from Diff’rent Strokes. RW: Have they put any pics of you on the wall? TB: They wouldn’t dare! The players enjoy taking the rise out of each other – there’s a good team spirit – and they also know when it’s not a good time to play tricks. I enjoy a joke or two but I tend to leave the boys to it – I leave the children playing! TB: Not really – just Boothy. RW: Who spends the most time in front of the mirror at Irish? TB: I wouldn’t know! I imagine it’s Justin Bishop (defence coach) from the coaching team and Daniel Bowden from the players. 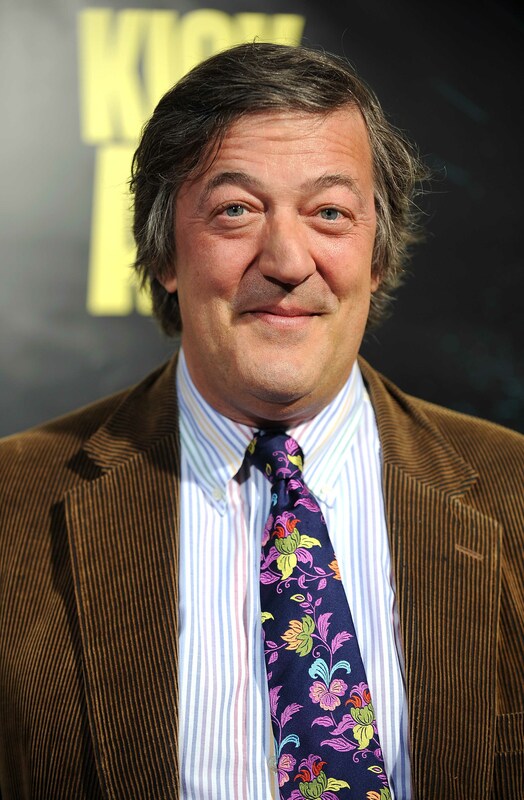 TB: Stephen Fry. Roberto Mancini – I’m a Manchester City fan. And Matthew Syed. He’s an author who wrote an interesting book called Bounce about why talent is made and not born, which goes against traditional thinking. RW: What’s your most embarrassing moment? TB: I rarely get embarrassed. I do often go to post-match press conferences not knowing what the score was, though. I know whether we won or lost, just not the exact score. TB: Probably my garden. It’s how I like to switch off from rugby – working on my garden and cooking. My wife and I share the cooking duties. It’s all to do with when time allows. I like to do a good roast dinner. RW: What’s the most stupid thing you’ve ever bought? TB: My sister and I have a bit of Christmas banter with presents and buy each other the most ridiculous gifts. Last year I got her and her husband a double umbrella. RW: What’s the silliest thing she’s given you? TB: She once bought me a book on Britain’s 100 best roundabouts! TB: Sean Davey was refereeing a Powergen Cup game a few years ago (v Cardiff Blues in 2005) and he got a player over to card him, but then realised that he’d left his cards in the changing room! He had to get someone else to go inside and get them for him. It got picked up by A Question of Sport. TB: For doing things differently and being tough but fair.